Cooder is a soulful preservationist, keeping vital pasts alive and dynamic in the modern world. After over five decades of fearless pioneering, its still difficult to put multi-talented guitarist and singer songwriter Ry Cooder into any one box. 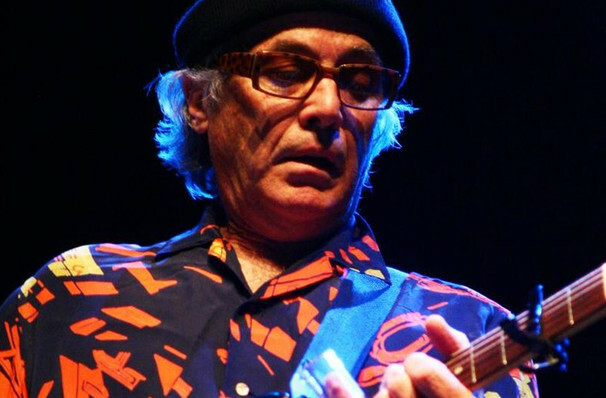 Ranked 31 on Rolling Stone's 100 Best Guitarists list, Cooder evolved from teenage blues phenomenon in the company of Captain Beefheart to innovative world-music explorer, cementing his honored place in music history as a founder of the Buena Vista Social Club. Don't miss the living legend as he returns to the American road after a nine-year absence, supporting the 2018 release of his 17th solo album The Prodigal Son. A fitting title for the offering, this latest LP is Cooder's first release in six years. Revisiting the early blues of his early career, the album is a mix of brand new original material inspired by the shifting morality of present day society and interpretations of the traditional blues of Blind Willie Johnson, the Stanley Brothers and Blind Roosevelt Graves amongst others. Sound good to you? 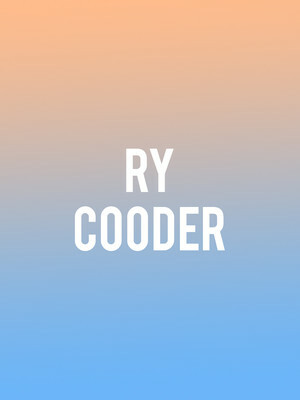 Share this page on social media and let your friends know about Ry Cooder at Jack Singer Concert Hall. Please note: All prices are listed in US Dollars (USD). The term Jack Singer Concert Hall and/or Ry Cooder as well as all associated graphics, logos, and/or other trademarks, tradenames or copyrights are the property of the Jack Singer Concert Hall and/or Ry Cooder and are used herein for factual descriptive purposes only. We are in no way associated with or authorized by the Jack Singer Concert Hall and/or Ry Cooder and neither that entity nor any of its affiliates have licensed or endorsed us to sell tickets, goods and or services in conjunction with their events.